This shoe was made by a student with extra-wide and thick feet. We made a custom pattern following directions from my youtube video: https://www.youtube.com/watch?v=n8RMcXhw40c. 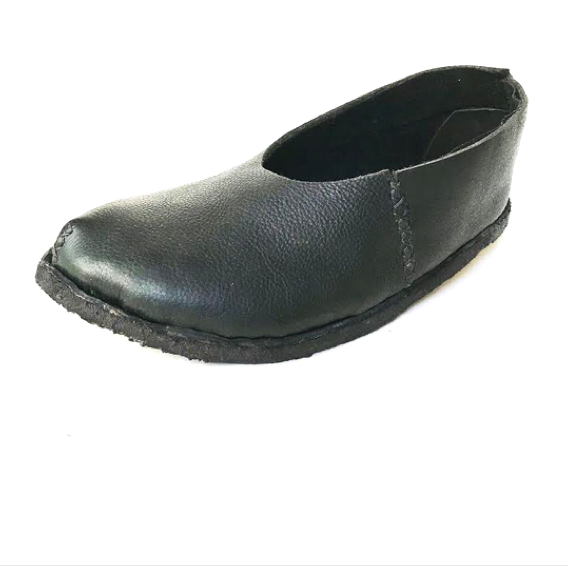 Directions are also in The Simple Shoemaking Handbook, http://simpleshoemaking.com/wp/product/pdf-the-simple-shoemaking-handbook/. The shoes have a thick layer of natural rubber soling, so she finally has a comfortable pair of shoes that she can wear.